Creative Spark, centre for creativity and innovation, launched in October 2012 with the goal of providing dedicated creative training and workspace facilities for new and established enterprises in County Louth – a place to work and a place to learn. 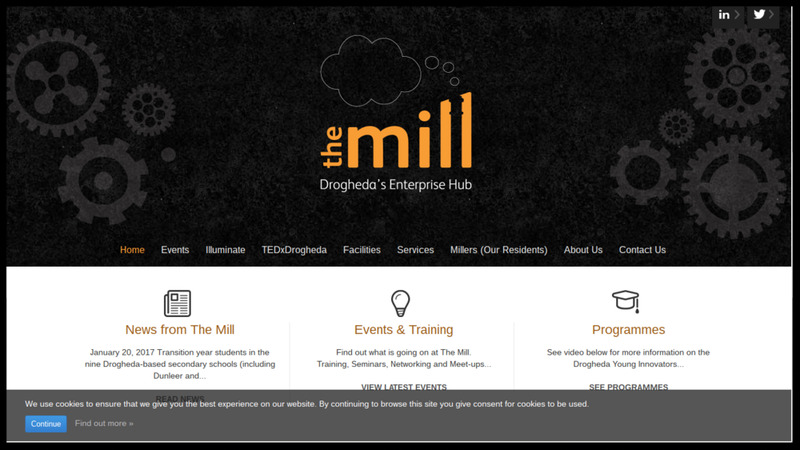 The Mill The Mill is Drogheda’s first purpose built community enterprise centre. It is the result of a public-private partnership which was conceived over 8 years ago.